The 車 radical goes by three names in English: "vehicle," "cart," and "wheel." We'll call it "vehicle." Oh! 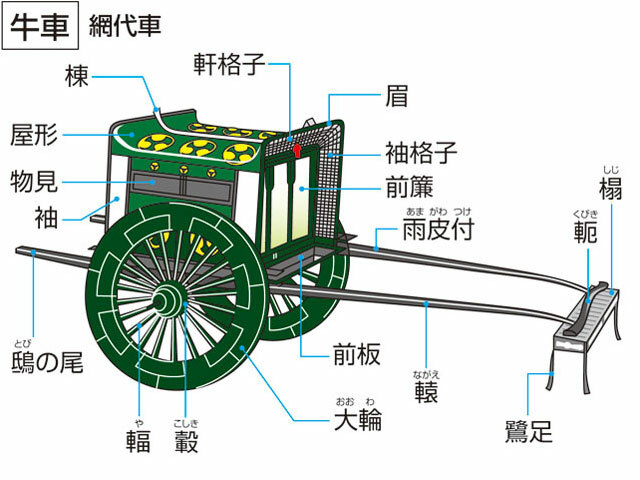 In all my years of perceiving 車 as a pictograph, I never imagined that it depicted anything remotely like this ox carriage! In Tokyo, there's a restaurant chain simply called 車 (くるま). The nine branches serve high-quality grilled chicken from Miyazaki Prefecture on Kyushu. What Is the 車 Radical Called in Japanese? We'll return to kanji 466 in a moment. I'm amused to see the "vehicle" radical on a vehicle (the back of a truck in Hong Kong)! I'm also amused that this company is called Glorious Ice, as the name includes the "fire" radical 火 in the second character. The company sells ice cubes. With that fire around, the ice would melt at once! In Japanese, 煌 is non-Joyo. Our radical is the bottommost component in the largest writing here. We find 車 in 輩 (1688: peer; generation; successively). This exhibition was planned by Sumida Creators’ Club, a group of local creative people who apparently see Hokusai as their great forerunner. The 拝啓 北斎先輩 sounds as if the club wrote him a letter saying, “Hello, Hokusai-senpai." What's the Radical Name if the 車 Is on the Left Side? Of the 15 Joyo kanji featuring the on-duty 車 radical, 11 have the radical on the left. You've already seen the four that don't, including the autonomous 車 kanji itself. Please prepay the parking fee. The 一時利用 means that the bicycle parking facility is for one-time use, rather being rented out monthly or annually. The white sign is probably about bicycles, not cars, though people generally use 駐輪 (ちゅうりん) for parking a bike, not 駐車. Why Is the 車 Radical in These Kanji? It's not always obvious why 車 wound up in certain characters. Henshall clarifies that with etymological explanations for the following kanji. The shape used to be different, representing a "vehicle with a protective encircling arm." That referred to "carts drawn into a circle to form a protected encampment," an ancient military practice. The circle of carts symbolized an "army," he says. Henshall says that 轄 "originally referred to a wedge-shaped linchpin inserted in the end of an axle to lock the wheel in place." Thus, 轄 came to represent "controlling element" and eventually "control." Henshall says that the 由 in 軸 acts phonetically to express "support." As 車 is "vehicle," 軸 once represented "that which supports a vehicle"—namely, the "axle." This meaning broadened to "spindle" and "shaft," and 軸 came to mean "scroll" because spindles, shafts, and scrolls have similar shapes! This might be the most surprising place to find a vehicle! Henshall says that the character used to have a very different right side, one that meant "soft." That right side combined 而 (beard) and 大 (big), a beard being a symbol of softness. (Really?!) Originally, he notes, 軟 referred to the practice of "wrapping reeds around the wheels of a vehicle to soften the ride." (What an ingenious technique!) Later, 軟 came to mean "soft" in general. At McDonald's in Hong Kong, my proofreader bought a 将軍 (しょうぐん: shogun) burger. That sounds intimidating—unless you like eating samurai warlords! It was a teriyaki burger, so I suppose someone gave it a name meant to evoke images of Japan! The word 将軍 breaks down as general + army. A sign at an Osaka-area izakaya (pub) features 運転 (うんてん: driving), giving us back-to-back instances of the 車 shape. As we've seen, 車 is the on-duty radical in 転. By contrast, the "movement" radical 辶 is on duty in 運 (which means "to control movement skillfully" in 運転, according to Halpern). So the authorities intend to eliminate underage drinking and drunk driving. By the way, 運 (231: to transport; move skillfully; operate; luck; destiny) has an intriguing etymology. Henshall defines the 辶 as "movement" and the 軍 as "army." Some scholars interpret this 軍 literally, he says, so 運 means "army on the move," by association representing "transportation" and the "fortunes" of war. Other scholars feel that this 軍 acts phonetically to express "round," as well as "circle" and "vehicle" (from a circle of vehicles). If so, 運 means "vehicles rolling along" and therefore "transport."